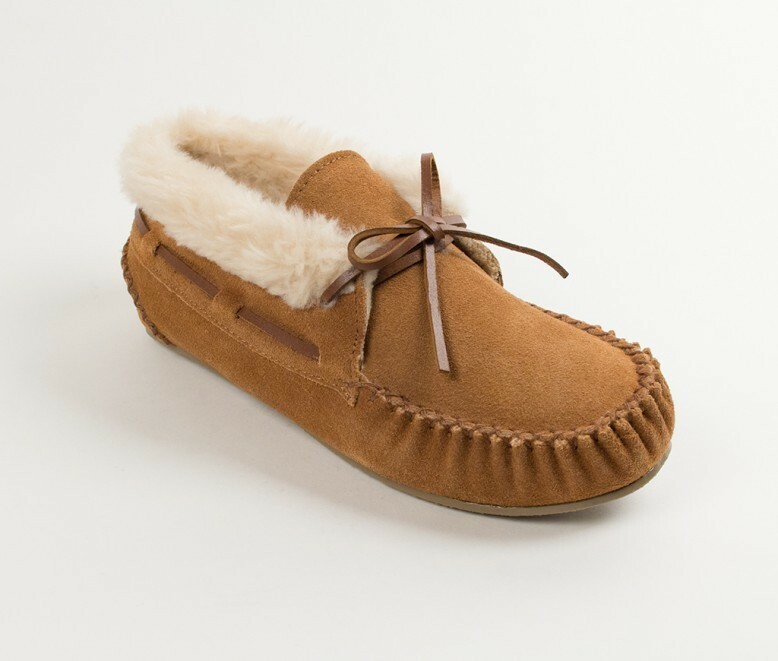 Arizona Saddlery of Clarkston carries only the best brands of women's moccasins. 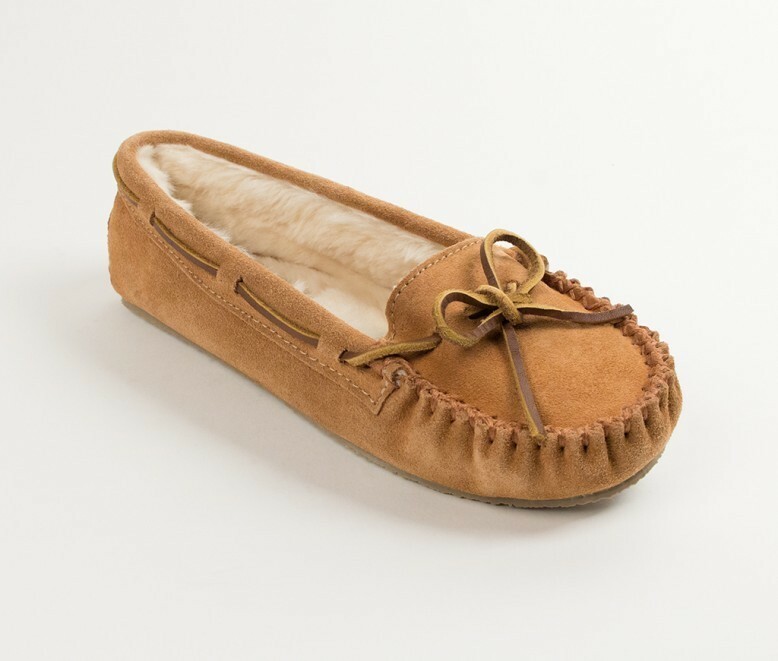 Below is a sampling of the Minnitonka moccasins that we carry in stock. 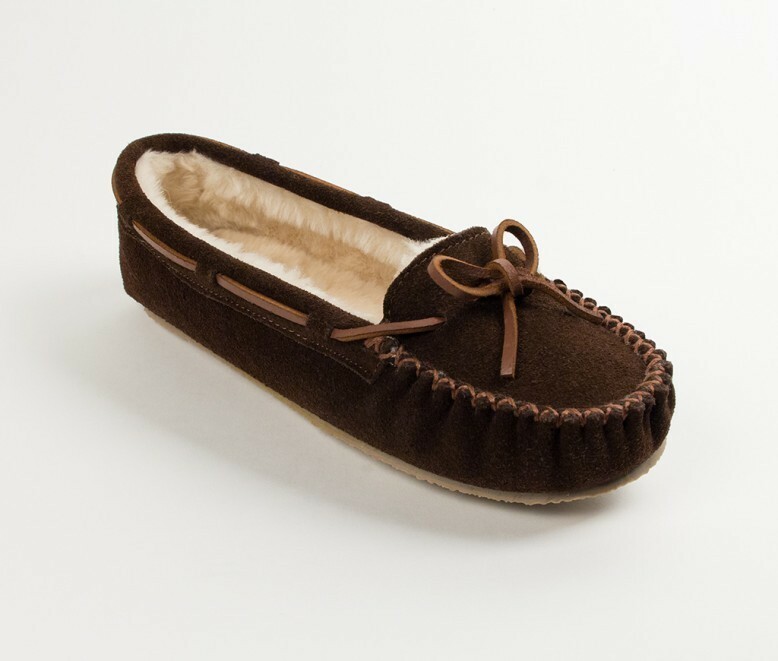 Special order moccasins are also available. Suede, suede lace, padded insole, rubber outsole. Sizes: 5-11 (no 10 1/2) med and wide widths. Color: "black" suede material, suede lace, padded insole, rubber or softsole. Color: "grey" suede material, suede lace, padded insole, rubber or softsole. Sizes: 5-11 no 10 1/2 medium and wide width. 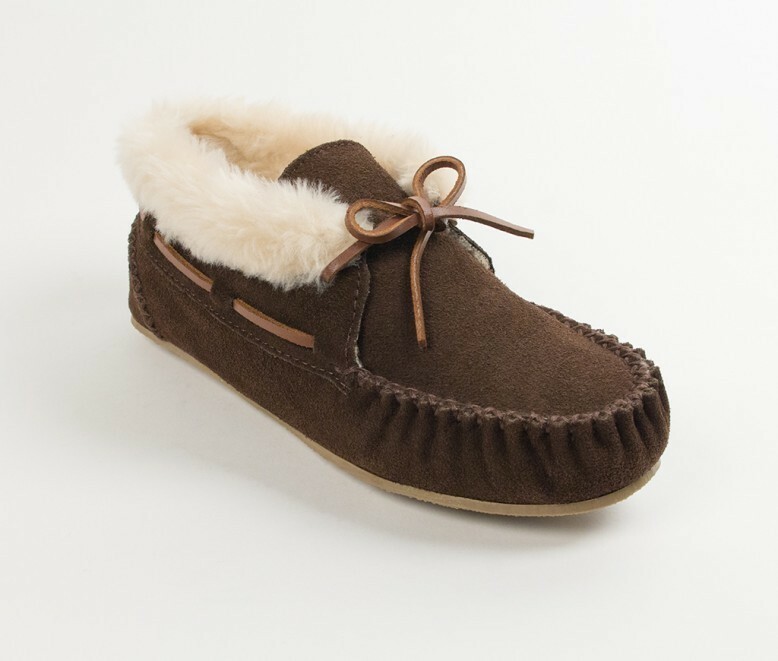 Suede, suede lace, padded insole, rubber outsole and soft sole options. 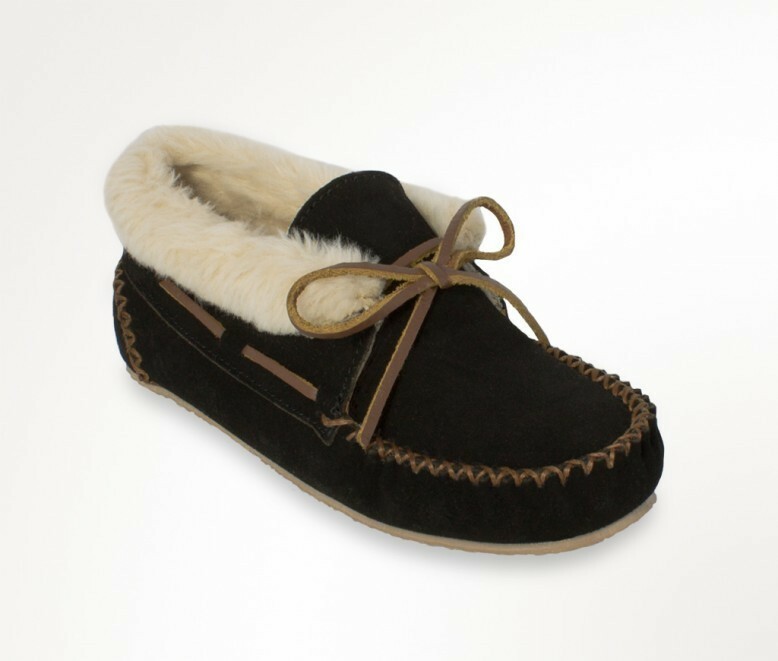 Suede material, rawhide lace, pile lined, rubber outsole. Sizes: 5-11 Full Sizes ONLY. 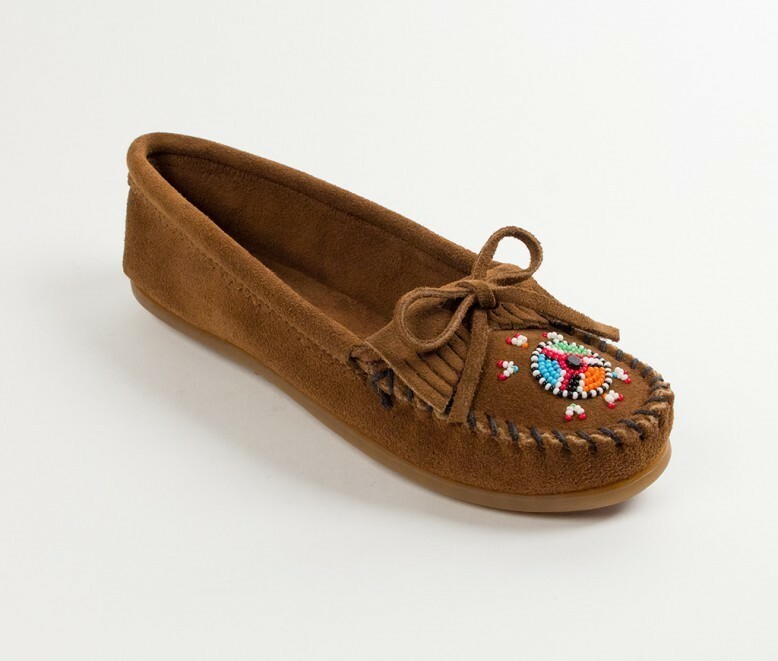 Suede, thunderbird beading, suede lace, padded insole, rubber outsole. Sizes: 5-11 (no 10 1/2). 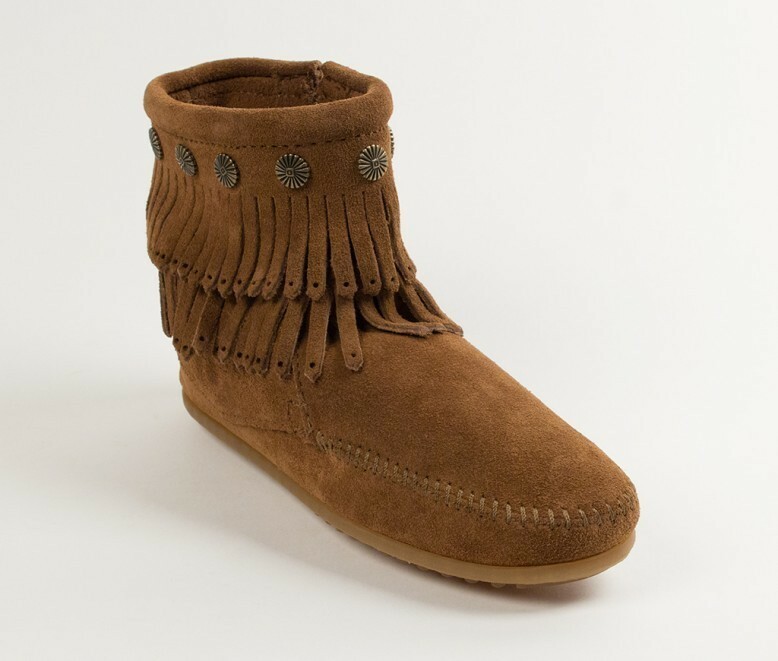 Suede, beading by Kenyan Maasai Mamas, suede lace, padded insole, rubber outsole. Suede material, thunderbird beading, cotton lace, padded insole, soft outsole. 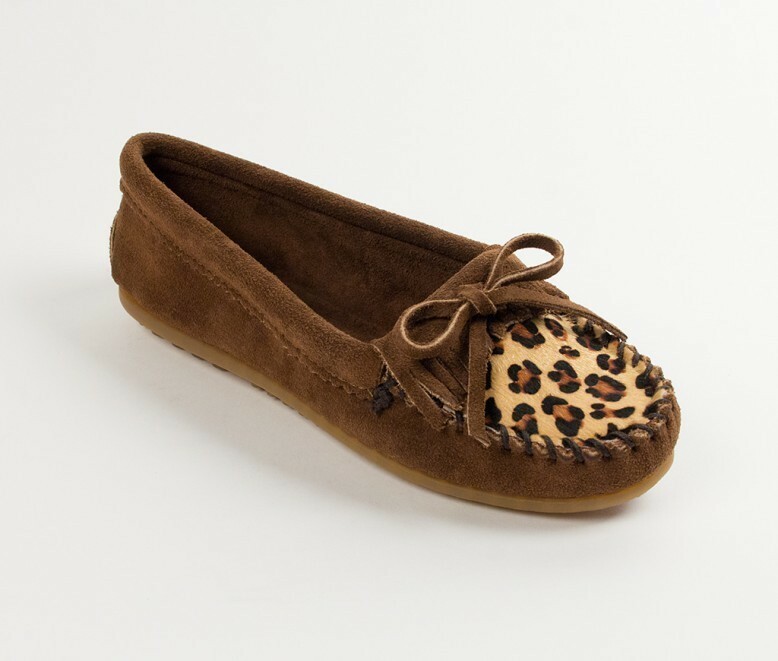 Dusty Brown, Suede Hair on leopard print plug, suede lace, padded insole, rubber outsole. Sizes: 5-11 no 10 1/2. Suede material, padded insole, rubber outsole, 12" height, 13 1/2" circumference. Sizes: 5-12 Full Sizes ONLY. 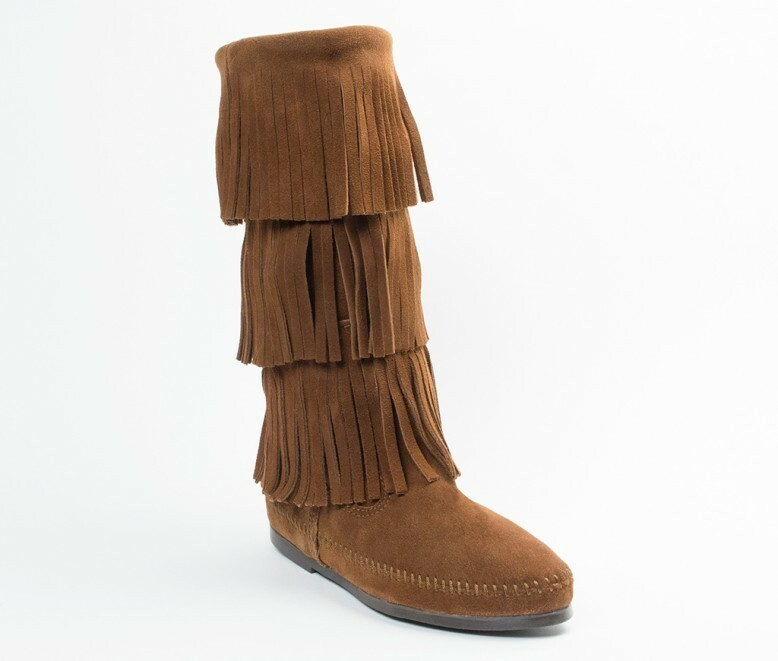 Double fringe side zip boot, suede material, antique brass or silver conchos, inside zipper, padded insole, rubber outsole, 6" tall.